The DA says it is urging various municipalities in Limpopo, South Africa, to implement water restrictions – similar to those which have become world famous in Cape Town – to preserve the remaining water in different reservoirs and dams, and avoid the looming water crisis during this festive season and beyond. 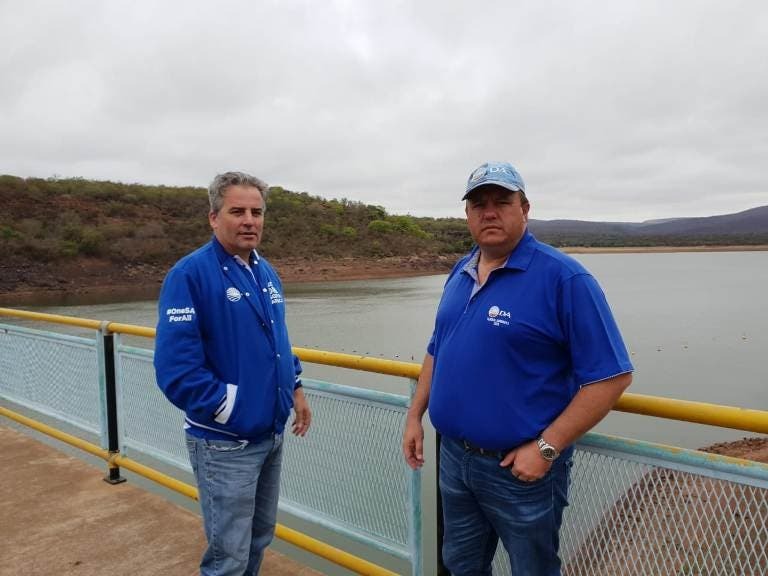 DA Limpopo Premier Candidate, Jacques Smalle and Beyers Smit MP at the Doorndraai dam outside Mokopane. The effect of the long drought has had a negative impact on various reservoirs and dams across the province…and this has been further exacerbated by a lack of rain and the recent heat wave which has increased water usage. During an oversight inspection on Friday morning at Doorndraai dam outside Mokopane, the DA confirmed that water levels have dropped “with 25.3%” whilst Mogalakwena Municipality is still failing to implement water restrictions at all. The provincial water levels are 61.5%, down from last year’s 66.4%. 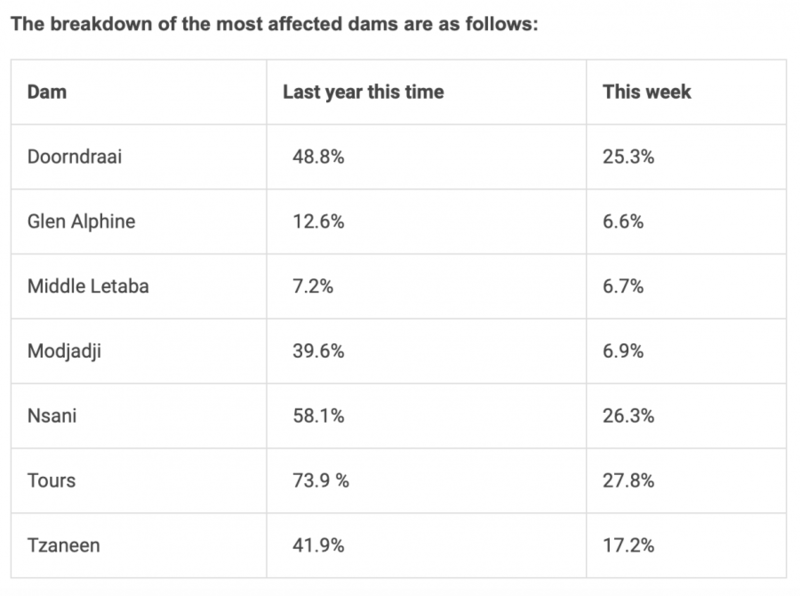 In Mopani, water levels in 10 major dams in the district dropped to a shocking 28% whilst the Olifants WMA is standing at 59.4% compared to 63.0% in the same period last year. Jacques Smalle – DA Limpopo Premier Candidate – said the DA is deeply concerned by the lack of action being taken. “If the affected municipalities don’t put measures in place as a matter of urgency, Limpopo residents will have a day zero,” he said in a media release. The DA will monitor these affected municipalities very closely to ensure that stringent level six water restrictions are implemented to avert the possibility of an undesirable water crisis, he said.